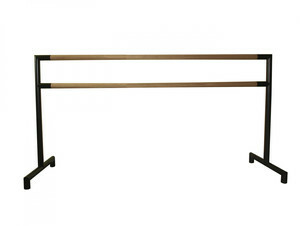 The portable ballet barres are made of a robust and tightly welded steel construction. Wide cantilevered floor elements make them highly resistant to tipping over. Slanting supports absorb the dynamic forces created during dance training without causing unwanted vibrations. 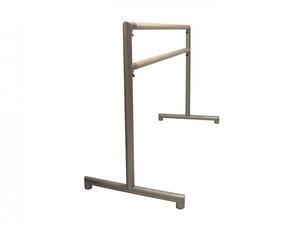 The ballet bar can be set up freely in the room and only needs space if it is needed for the corresponding exercises. For larger groups, several ballet poles can be placed side by side. 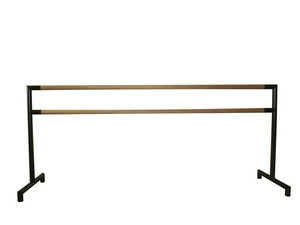 In addition ballet-barres.com offers mobile ballet mirrors, with which the ballet barres can be complemented optimally.